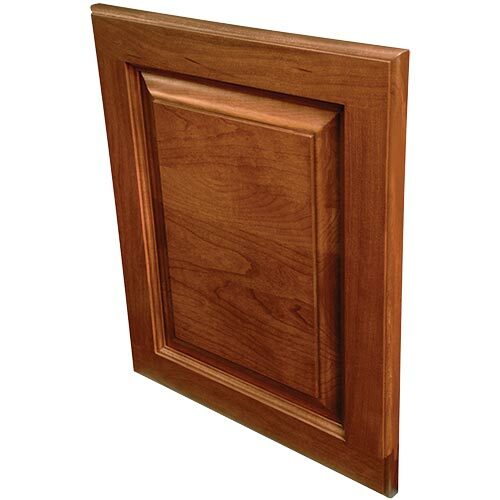 Crownpoint is a natural wood, raised panel door in the traditional style. Made from all wood construction with two stiles and two rails surrounding a wood center panel, it is one of our premium door faces. Styled as a raised panel door, it features an intricate inside bevel abutting the raised panel. The outside of the door panel, however, is a clean, square cut edge with no bevel. It is designed to evoke the quality woodworking of a bygone era when elaborate trimwork was standard in every home. It is constructed from natural/standard grade cherry wood. This particular design features a 1/4 inch flat veneer center panel. As a traditional piece, it is very versatile and works well with both simple country styles or more formal decor. It is a good choice when updating a historical home. 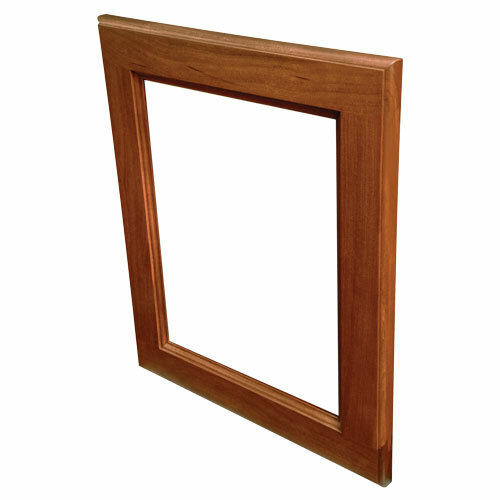 The Crownpoint profile usually works well with the mouldings and traditional woodwork found in vintage buildings. Crownpoint is a premium Closet Works door profile using five piece, natural wood. It is available pre-finished in several standard colors including: White, Cocoa, Ivory, Moonlight, Morning Dew, Rain Cloud, Corretto Cherry and Shiraz Cherry. 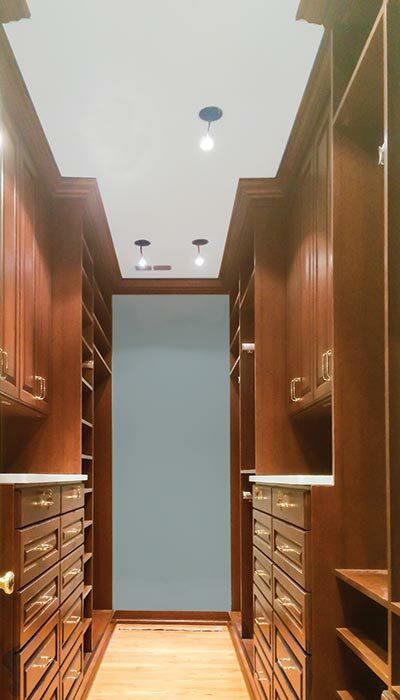 Unfinished wood doors and drawer fronts can be ordered for staining or painting any custom color. Crownpoint doors and drawers are also available open frame — meaning they can accept inserts such as glass or mesh panels. NOTE: Crownpoint is a premium, natural wood door/drawer face. If you like the look of Crownpoint but budget constraints don't allow for an all wood door, see our Harmony one piece Thermofoil door/drawer style with MDF core as a less costly alternative with a similar look.